Hawke's Bay Readers & Writers: Fine wine, fine food, fine writers - and the companionship of a table of friends. Fine wine, fine food, fine writers - and the companionship of a table of friends. What a laudable aim for the activities of the Trust, and how good it was to work with you in making this happen for a Poets' Night Out. 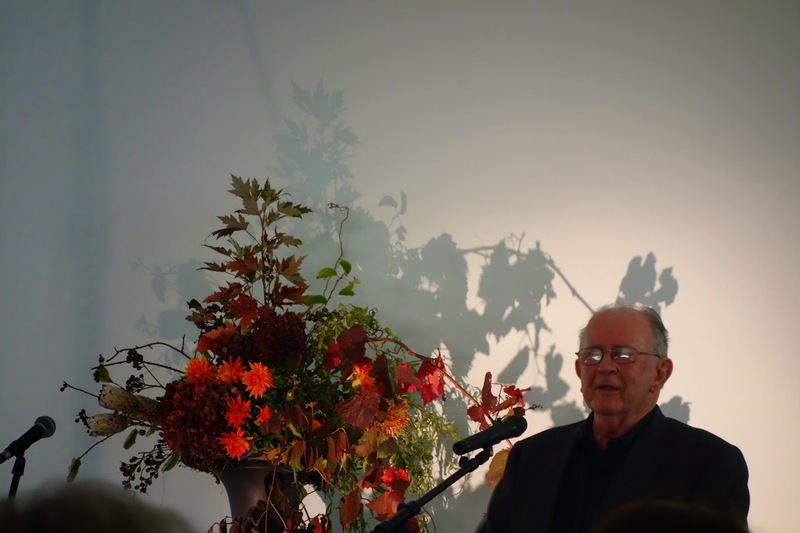 A full house of companionable tables witnessed one of the best-ever poetry (and music) events at the Havelock North Function Centre on Saturday 5 April. New Zealand Poet Laureate Vincent O'Sullivan headed up the poet's table in the company of Brian Turner, Jenny Bornholdt and Greg O'Brien, and what a perfect companionship of poets they are. Add to that the music of Ariana Tikao, JAM (Julia and Maud Morris and Amy Barnard), and Katlyn Harrison and Nation Sullivan, good food, Te Mata wine, an appreciative audience, and well, it just doesn't get any better. Hats off to the Trust for this sublime event!